Until now, cloud gaming service Gaikai was reluctant to announce any plans about their coming to any mobile platforms. The company felt that 4G networks, which they feel are a minimum requirement for smooth and problem free cloud gaming, are not proliferated enough to warrant an entry into the mobile space. Looks like they changed their mind about that, maybe because their strongest opponent in the cloud gaming arena OnLive doesn't mind working even on 3G networks and up. 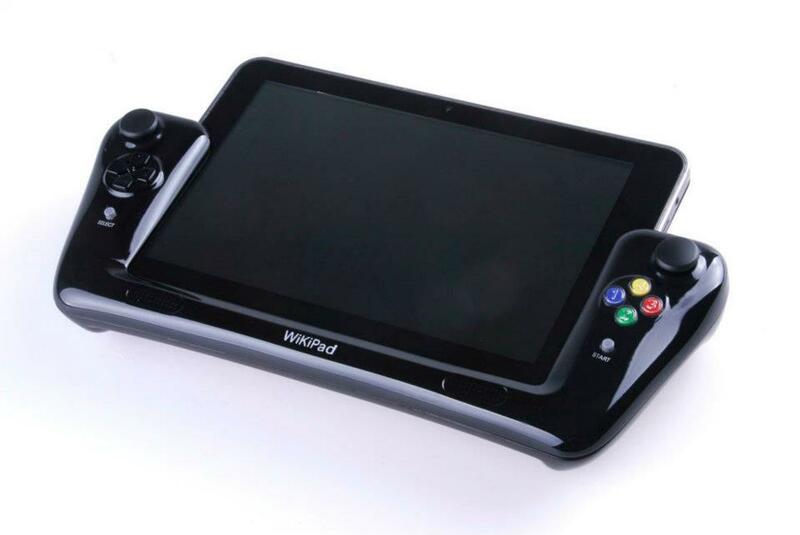 Gaikai announced that their cloud gaming network will be available on the world's first gaming tablet, the WikiPad. Of course when the WikiPad launches, as they take their time with the launch. Cloud gaming is changing the way video games are consumed. Today gamers have to either drive to a store, wait for games to arrive in the mail, or download games, which can take as long as visiting the store itself. Cloud gaming removes the friction and makes games -- no matter how large -- appear instantly. The WikiPad is capable of running games locally but will also offer extremely high performance games from Gaikai's cloud gaming platform. Without cloud gaming, many incredible console quality games could never appear on tablets. The WikiPad concept was announced earlier this year with an enthusiastic response from gamers and press at CES 2012. The gaming tablet offers the first-of-its-kind combination of HD graphics with glasses-free parallax autostereoscopic 3D display, optional 3G module and game console style controls that feature dual-analog sticks as well as a d-pad and video game buttons. The gaming tablet will also feature front and back cameras, 1080p video support and 8GB of space to store your games when you don't want to bring a microSD card with you. The WikiPad also features a unique Wi-Fi Direct optional accessory which will allow games to be played on HDTV monitors or televisions, allowing players to use the tablet as a portable console gamepad as well as a premium Android 4.0 (Ice Cream Sandwich) tablet. Since the WikiPad was announced at CES 2012, the company behind the WikiPad has upped the specifications of the mobile gaming device. They changed the screen size from 8.1" to 10.1", they introduced an ultra-light chassis, optional 3G antenna for mobile provider subscriptions and a quad-core NVIDIA Tegra 3 processor. This is a double-edged sword as on one side the company is showing that they can listen to their fans, but on the other side this can fast lead to a never-ending story like with Duke Nukem Forever or god forbid even The Phantom. The official launch date for the enhanced WikiPad has yet to be announced. “The WikiPad is one of the most exciting devices for gaming to date. The tablet was designed with the needs of gamers in mind, enhancing the mobile gaming experience with a set of controls on par with today’s consoles and PC gamepads, enabling gameplay mechanics that have been previously unavailable with just touchscreen controls,” said Robert Stevenson, EVP of Business Development & Strategic Partnerships at Gaikai. Of course, since the WikiPad is an Android mobile gaming device and will surely have access to Google Play, OnLive will work on the device from the get-go as they are available on the Google Play marketplace and already work on nearly any Android tablet. In the past, OnLive has also shown a lot of flexibility and fast responses to adapt their controls support for various mobile devices like the built-in slide out gamepad on the Sony Xperia PLAY and the PS3 controller support on the Sony Tablet S. So, when the WikiPad gaming tablet launches, OnLive will surely support the controls on the device in no time.